When you stay at Litchfield Beach & Golf Resort in Pawleys Island, you'll be on the beach, within a 5-minute drive of Huntington Beach State Park and Litchfield Country Club. 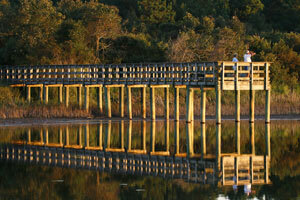 This beach resort is 0.7 mi (1.2 km) from Litchfield Beach and 3.2 mi (5.2 km) from Brookgreen Gardens. Make yourself at home in one of the 589 individually decorated guestrooms, featuring refrigerators and microwaves. Cable programming and DVD players are provided for your entertainment, while complimentary wireless Internet access keeps you connected. Bathrooms have designer toiletries and hair dryers. Conveniences include phones, as well as coffee/tea makers and irons/ironing boards. Dip into one of the 4 outdoor swimming pools or enjoy other recreational amenities including a complimentary water park and a health club. Additional amenities at this resort include complimentary wireless Internet access, gift shops/newsstands, and wedding services. The complimentary beach shuttle makes getting to the surf and sand a breeze. Enjoy a meal at Coastal Dish or snacks in the resort's coffee shop/café. Wrap up your day with a drink at the bar/lounge. Buffet breakfasts are available daily from 6 AM to 10:30 AM for a fee. Featured amenities include a business center, a 24-hour front desk, and a safe deposit box at the front desk. Planning an event in Pawleys Island? This resort has facilities measuring 12393 square feet (1151 square meters), including conference space. Free self parking is available onsite.